The building that was the Matron's House at Carrolup Native Settlement. Photographer: John Stanton, 26th November 2018. John and I visited Carrolup—or Marribank as it later became—on the 26th November 2018, on our way down to Albany from Perth. 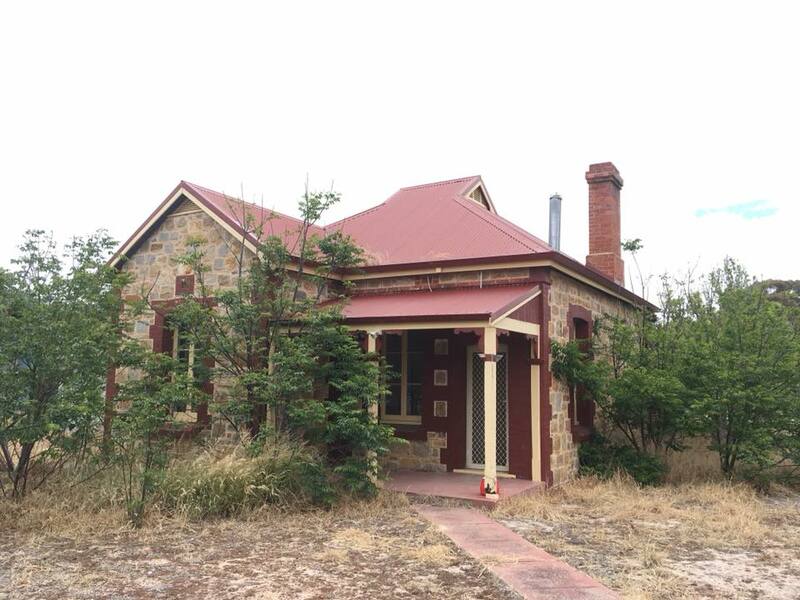 We walked around and explored some of the buildings, reflecting on what had gone on before when Aboriginal children were taken from their parents and held at Carrolup Native Settlement under the control of the Department of Native Affairs. I had last been at Carrolup 20 months ago and I could see further deterioration of some of the buildings. John was also saddened by the evident deterioration since his last visit some years ago. As we walked around, he told me of the time that he had been living at Marribank / Carrolup in the mid- to late-1980s while he was working on The Carrolup Project with the Marribank Community. They seemed such exciting times, with so much going on. John will post in the blog a description of these times in the new year. In some places, such as the school and the boys’ dormitory, I thought about the children and their beautiful landscape art and their other achievements. Having been working on this Story for nearly three years, I sometimes feel very emotional reflecting on the past. I know John is the same and he’s been involved with this Story over 40 years. How he must feel! We shot some short film clips with John’s iPhone, so that we could give our audience a feel for Carrolup and tell some stories ‘in-situ’. You can find the ten clips in the Video Gallery. Here, I focus on just three of those clips. In the first clip (see below), John describes how the boys drew a frieze all around their dormitory walls. Part of the frieze remains visible today, indirectly due to a leaky gutter outside the building. It is quite a sight, a dancing spirit figure from the past. In the second clip, John describes how at one time when Noel and Lily White were teachers, the children’s art covered virtually every reachable area of the main schoolroom. A fly intervenes with amusing results. In the third clip, John describes how the old bridge he is standing on was the main point of entry to Carrolup Native Settlement from the Katanning side. He points out that the bridge was restored in 2006/7, so that people could once again reflect on that period of segregation and isolation that occurred at Carrolup.